A Peter Vidmar personal appearance, Peter Vidmar speaking engagement, or Peter Vidmar endorsement will reflect well on your company. To hire Peter Vidmar now for any corporate appearance, fundraiser, motivational speaker event, personal appearance, autograph signing, or website endorsement please contact our celebrity agents at 1-877-6-SPORTS. We will contact Peter Vidmar or contact Peter Vidmar's agent and provide you with the booking fees and availability immediately upon your request. Direct Sportslink is the only sports speakers bureau and talent booking agency based in the United States securing only sports talent for corporations, associations, and organizations for motivational speaking engagements, personal appearances, and endorsements. We are the premier sports celebrity booking agency and a sports celebrity procurement expert. Accordingly, we will provide you with any relevant Peter Vidmar website information and booking agent details so that you can hire Peter Vidmar for your next event. Peter Vidmar is one of the most exciting and entertaining speakers you will ever see. A member of the U.S. Olympic Hall of Fame, Peter Vidmar won 2 gold medals and 1 silver medal in gymnastics at the 1984 Olympic Games. 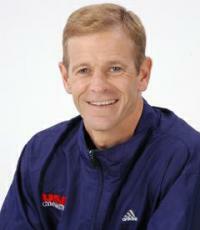 Peter has leveraged his Olympic training and developed his trademark concept of Risk, Originality, and Virtuosity. He has traveled the world helping organizations to motivate employees, improve morale, and encourage new ways of thinking, using his effective ROV strategies. Vividly describing his Olympic preparation and experiences, he motivates others to put forth the extra effort required to succeed in business and in life. Successful Meetings Magazine listed Peter as one of the top ten corporate speakers in America. He is the author of the recently released book, Risk, Originality, and Virtuosity: The Keys to a Perfect 10. In 2008, he was named to the U.S. Gymnastics Board of Directors. Based on your interest in Peter Vidmar as a speaker or for a personal appearance, Direct Sportslink has provided you additional links below for other sports talent with similar appearance fees, speaker topics, and categories that match Peter Vidmar.